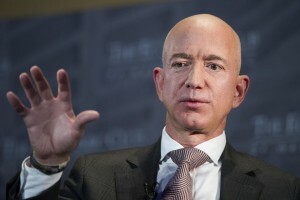 An attorney for the chief executive of American Media Inc. said Sunday that the parent company of the National Enquirer hadn’t engaged in extortion and blackmail of Amazon CEO Jeff Bezos, countering allegations that the publisher tried to pressure the technology executive with the release of embarrassing photos. Elkan Abramowitz, appearing on ABC News’ “This Week,” said, “It absolutely is not extortion and not blackmail,” adding that the information had been provided to the National Enquirer by a “reliable source” who had been giving information to the publication for the past seven years. Mr. Abramowitz said the source was “well known to both Mr. Bezos” and Lauren Sanchez, Mr. Bezos’ alleged lover, but declined to specify who it was.